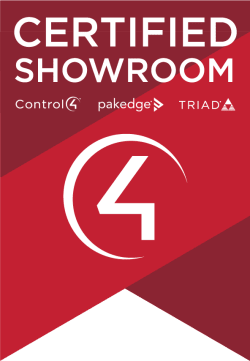 In a Control4 Certified Showroom, you'll experience firsthand how automation can be personalized to your needs and desires. Our home technology professionals will demonstrate the incredible features of Intercom Anywhere will also show you how Control4 solutions deliver orchestrated smart home experiences that make homes safer, more convenient, comfortable, and enjoyable. Your information is secure, and we promise we won’t spam you. *Available at participating showrooms only. Ask showroom about details. Pardon our dust. The dealer locator is temporarily down for regularly scheduled maintenance. Please check back again soon. Dealer status (Diamond, Platinum, Gold, Authorized) is an indication of the volume of business an individual dealer does with Control4. For you, the dealer status might be used to evaluate the size and scale of a business in making the selection of the professional for your Smart Home. Status is just one indicator, though. In making your selections, call multiple dealers in your area to find the very best fit for you and your lifestyle. Home automation shouldn’t be one size fits all. 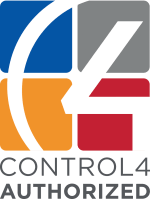 Control4 gives you the ability to automate at your own pace, as your time and budget allow. Start in one room and add solutions and products as you go. No matter how old (or new) your home is, there is a Contorl4 system that will work for you.